We are continuing our updated analysis of points league tiered rankings with a final look at starting pitchers. 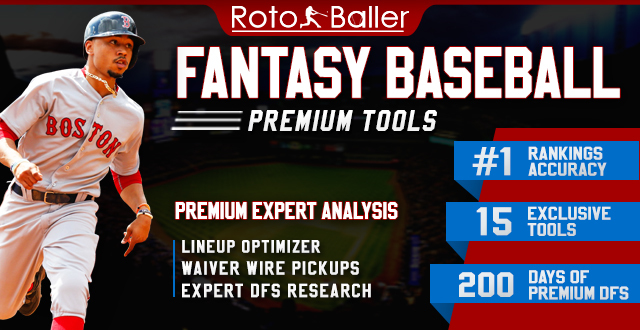 In H2H points leagues, starting pitchers are the lifeblood of a fantasy team. The more innings and strikeouts a starter can rack up, the further it carries your team toward a championship. There is a solid core of SP at the top that are sure to fly off draft boards much earlier than in roto leagues. While you don't necessarily need to have an ace in the first round or two, you will need to make sure that your later selections are on the reliable end. 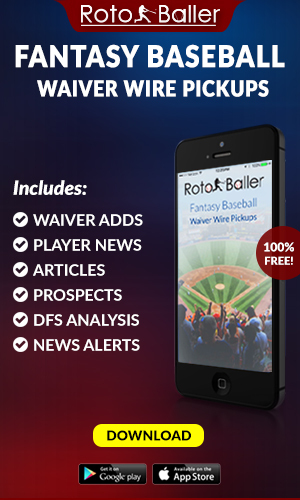 Less-enticing pitchers such as Jose Quintana, Rick Porcello, Zack Godley, or Trevor Williams could be solid rotation pieces, while breakout candidates like Luis Castillo, Nick Pivetta, or Nathan Eovaldi should be discounted a bit. If you are relatively new to points leagues, you need to pay close attention to the difference between these rankings and that of standard 5x5 roto formats. In a points system, you need to account for walk and strikeout rates while de-emphasizing steals and saves that are so valuable in roto. 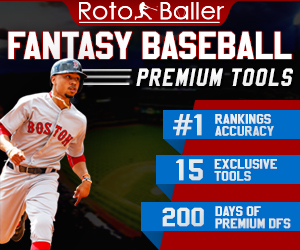 Using RotoBaller ranks gives you a considerable advantage over the rest of your league which will likely run off of a standard rankings list. 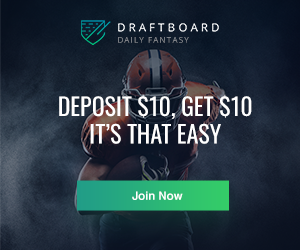 Get to know the overvalued and undervalued players to dominate your points league! Scherzer is the unanimous SP1 in pretty much all formats, no arguments there. It may be interesting to note that while deGrom is second in our rankings and typically comes off the board either second or third behind Sale, he finished behind both Verlander and Kluber in total points last year. The difference came down to record, as the Mets weren't able to do him right in terms of run support, as a 10-9 record can attest to. It's a matter of splitting hairs between all these top tier arms, so the edge should go to the starter you feel has the best chance to surpass 200 innings again and be backed by a decent offense. In that vein, Kluber could see negative regression as the Indians' lineup isn't quite what it used to be. He is as consistent as they come, but this is the deciding factor when our rankers placed him at the bottom of tier one. It's unusual to see such a (relatively) wide discrepancy between rankers near the top but Aaron Nola and Trevor Bauer have some wide variations. Nick has Bauer ranked as his SP5, all the way up to 10th overall on his rankings despite the fact he finished as the 16th-highest point-scorer among SP last season. Conversely, Bill has him ranked 33 overall. Aaron Nola breaks the top 10 for JB, but Nick has him as his 10th SP (25 overall). Again, Nick is going against last year's data which placed Nola as the fifth-highest pitcher in points leagues, but these are projections not recaps, so his forward-thinking logic must assume a full year of health for Bauer will cause his higher strikeout rate to result in a big jump in value. Walker Buehler rounds out the top 12 starting pitchers but it is risky to take him ahead of some of the following names in tier three since it's assumed he could be capped around the sixth inning of some games. Nothing has been set in stone but many are optimistic he will be encouraged to reach 200 IP. If you've read David Emerick's excellent series on finding the next "elite" starting pitcher, or his Bold Predictions, you know he is high on Patrick Corbin. JB is on board as well, ranking him above even the mighty Thor. Why not? Corbin followed up his dominant first half of 2018 with an even lower ERA in the second half (3.01) and a better K-BB% of 27%. The move to Washington is not friendlier in terms of home park, as Washington ranked 13th vs LHB and 14th vs RHB in terms of Runs Factor and was 14th and 15th in HR Factor, while Arizona and its new humidor fell down to the low 30s. The long ball wasn't a big problem for Corbin and all his peripherals suggest the 29-year-old could establish himself as a dependable arm for the foreseeable future. Jameson Taillon might be undervalued in this format as the 18th SP on the board. While the pitchers ahead of him generally have a longer track record and better name recognition, injury concerns about for the likes of Stephen Strasburg, James Paxton, and of course Luis Severino. Let's start with the fact that Bill has Clayton Kershaw ranked 25th overall (among all players, not just SP) while JB and Nick have him 67 and 79 respectively. If he finds his way to the mound by the end of April, he could return great value. Health questions aside, his K rate has been dropping since 2015, down to 23.9% last season over 161 1/3 IP. Kershaw would need to avoid the IL for the remainder of the year, jump back up closer to 10 K/9 and hang around long enough to see his win count get to the mid-teens. I'm not saying it can't happen but in a format where longevity and consistency matters, I'll take the seccurity of Mike Clevinger instead. Miles Mikolas and his 18.1% strikeout rate don't seem suited for points leagues, or fantasy in general. His absurdly low 3.6% walk rate, 2.83 ERA, 1.07 and 18 wins from a year ago beg to differ, though. Mikolas is the classic ground ball specialist who is an innings-eater - dependable and just the kind of guy you want as your SP2 if you choose to grab an ace early and then wait it out for your next pitcher. He could also be paired with a high-upside arm like teammate Jack Flaherty or German Marquez, who each carry a bit more risk of negative regression despite tantalizing upside. Speaking of risk, Mike Foltynewicz will not be in the rotation to start the season but is already set to begin a rehab assignment on April 4. There is a draft/buy-low window here for a player that, even if he does decline from last year, has continued to increase both his whiff rates and ground ball percentage. The control isn't impeccable (9.1% BB%) which is another reason he is available outside the top 30 SP. Nobody comes at a greater discount than Kyle Freeland, who outscored all but 11 other starters last year. Even if his 82.8% strand rate and low-for-anywhere-but-especially-Coors-Field 8.5% HR/FB rate do regress, he is a good bet to approach 200 innings again and earn somewhere in the neighborhood of 15 wins. Don't be too scared in this format to slot him at the end of your rotation. The potential breakout of Eduardo Rodriguez or the boring floor of Cole Hamels? That's a decision fantasy owners will have to make once they get to the sixth tier. Our rankers split the decision on this one but this author is a believer in E-Rod after glowing spring reports about his stuff, namely a developing cutter that could lead to a jump in strikeout rate if he can be more aggressive early in counts. Hamels is being undervalued based on his age but showed no signs of slowing down last year and now dwells in a friendlier league and home park than when he was in Arlington. If you're ready to take some risks, a pair of Cards lie in waiting. Carlos Martinez is probably not going to debut until May, so stash him only if you can afford the roster spot or have an IL spot available. Alex Reyes is not joining the rotation any time soon, so he is best used as a high-end reliever based on strikeout ability. His probable lack of wins or saves should handicap his value in all formats, so don't feel compelled to spend a pick on him inside the top 200 for non-keeper leagues. Bill is more than bullish on the young potential stud but his draft capital simply isn't anywhere that high. Two of my favorite sleepers reside in this tier. One, Tyler Glasnow, has been bandied about all offseason by experts based on his pedigree, overpowering fastball that ranks in the 94th percentile, and progress from the second half of 2018 after moving to Tampa. The other, Sean Newcomb, went from hot prospect to forgotten man. With everyone glowing about Kyle Wright and Bryse Wilson joining the Braves' rotation, while Ian Anderson, Mike Soroka, and Max Fried lie in wait, Newcomb is flying under the radar despite already having a rotation spot locked up long ago. Like Glasnow, his control is still an issue, but he could be one adjustment away from making major strides. He certainly has the capability to rack up strikeouts and wins already. 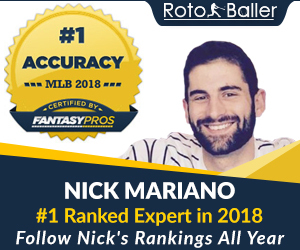 Some arms to watch in the latter portion of points league drafts or to monitor on waivers include: Yusei Kikuchi, Brad Peacock, Kyle Gibson, Joey Lucchesi, Steven Matz, Trevor Williams, Julio Teheran, Trevor Richards, and Vince Velasquez.